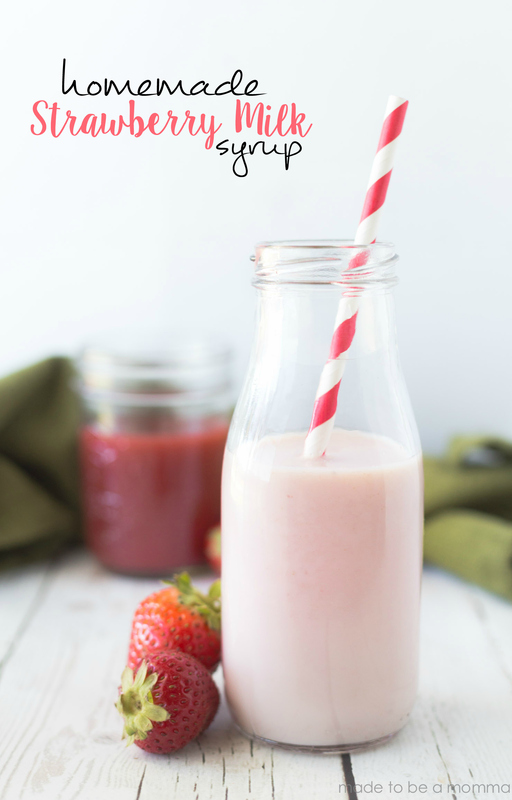 Homemade Strawberry Milk Syrup is delicious and so simple! Such a great alternative to the bottled syrup at the stores. My little boys love strawberry milk. When I first started giving them milk the only way they would drink it was if I added a bit of chocolate or strawberry. Now they are spoiled and rarely want to go without something to flavor their milk. 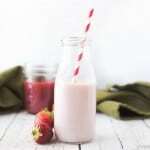 This homemade strawberry milk syrup is not only delicious but is a much healthier option than the bright red flavoring you can get in the stores. 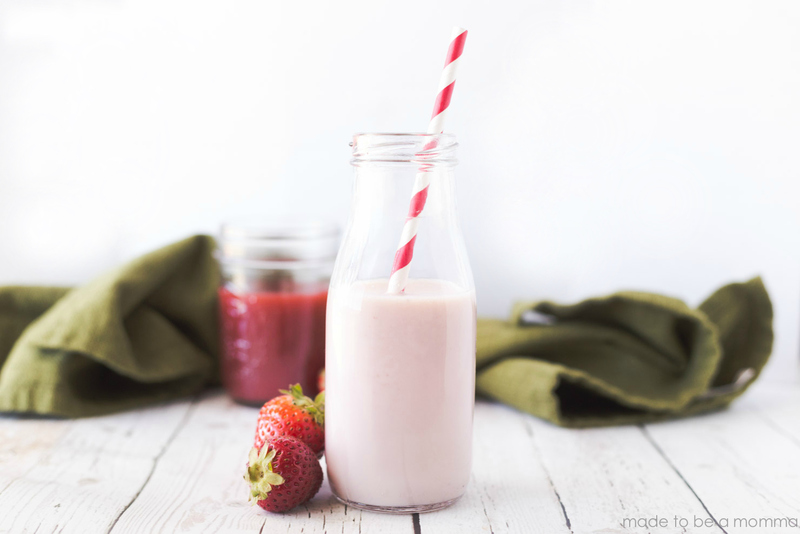 Did you know that strawberries aren’t even an ingredient in those bottles?! I may not be a total health nut but if I can swap out something my kids love with a much healthier option that isn’t filled with extras and preservatives I will—especially when it’s so simple! The best part of this recipe is you can make this year round. 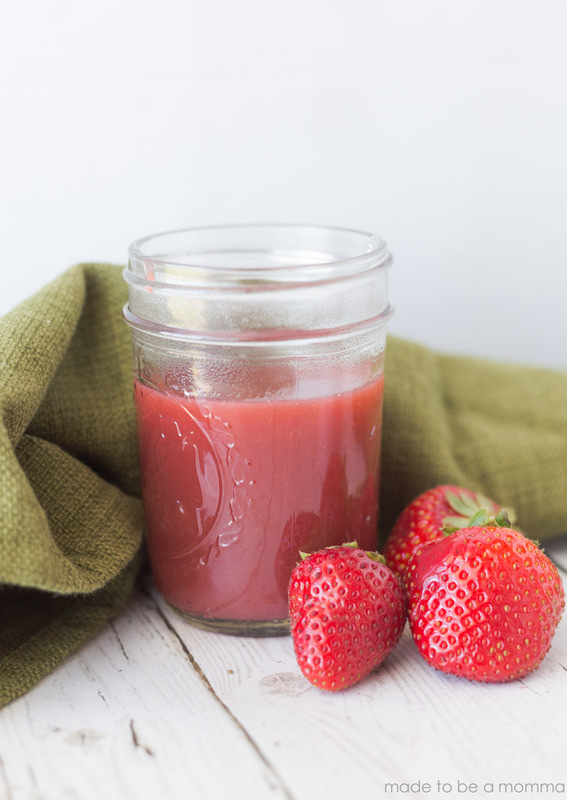 You can use fresh OR frozen strawberries and it will taste just fine! 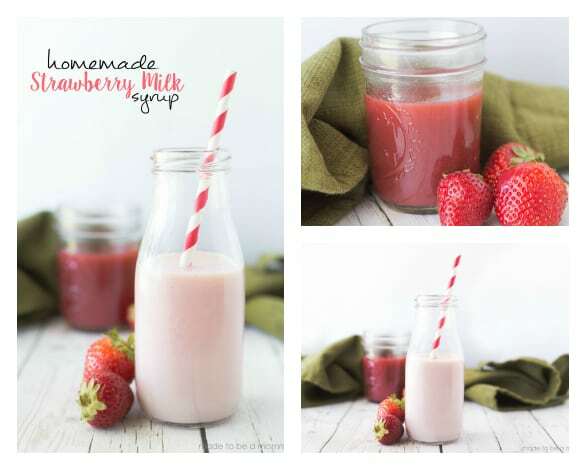 You aren’t going to get that hot pink/red color in your milk because there is no artificial red dye in homemade syrup which is why the strawberry milk will look more pale in comparison to using store bought syrup. I really don’t think you will miss the bottled stuff and you will wonder why you hadn’t made this recipe sooner…I know I sure did! I stored my syrup in a mason jar for up to 2 weeks in the refrigerator although there is no way it lasts that long 🙂 It tastes great on ice cream too. Bring the ingredients to a simmer on medium heat. Continue to cook for 15-20 minutes until the mixture begins to thicken. You can now use a small mesh strainer and small bowl to push out the remaining juice from the strawberries. You can save the strawberries for toast and such. 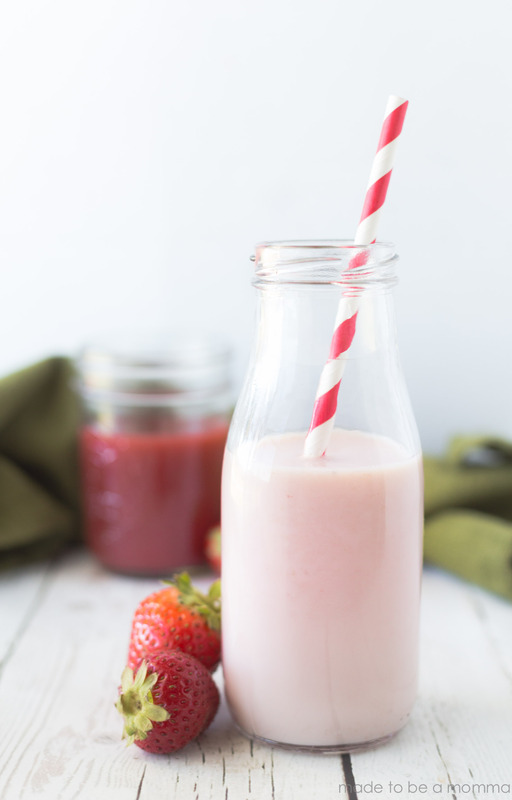 I actually like to blend my strawberry mixture for 1 minute in a food processor, I used my Blendtec, until the mixture is of a smooth consistency. I get more syrup doing it that way but I don't have the left over strawberries. Whatever you decide is fine. Yield about 16 ounces of syrup. Add 2-3 Tablespoons to every (1) cup of milk, more if you like your milk sweeter. what is the shelf life in the frige? This looks DELICIOUS KATIE! I LOVE IT! Can’t wait to make it for my kids! yummm. I love that it’s honey and not sugar! You’re Awesome!